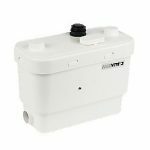 Sanitop UP Macerator Pump – Just when you thought you didn’t have room for a toilet in your small cloakroom, along comes the Sanitop UP Macerator Pump. 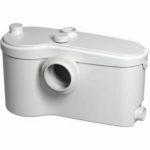 This small but powerful pump gives you the freedom to connect a toilet and washbasin, and total peace of mind that all waste will be efficiently taken care of and flushed away completely. You may have heard that macerating pumps are a little on the noisy side, but this simply is not the case with the Sanitop UP Macerator Pump. 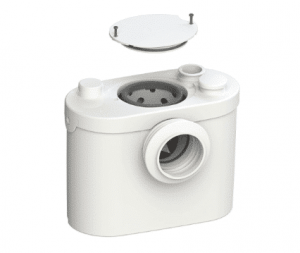 This is an unobtrusive pump featuring a quiet motor, making it the perfect choice if you have children that may be up in the night or you need to use your WC during unsociable hours. Size is of course top priority when choosing a macerating pump and the Sanitop UP Macerator Pump is small, but perfectly formed. Whether you need to choose a macerating pump due to size constraints or building controls do not permit you to alter your plumbing significantly, this pump is a great choice and will not let you down. It is also very simple to install and comes with full instructions. It can be frustrating trying to find the right WC unit for those very small spaces, but the Sanitop Macerator Pump makes this problem a thing of the past. Featuring a compact design, powerful operation and easy installation, this pump will give you many years of reliable use. Order online today and we will have your pump and any other products you may need as quickly as possible. 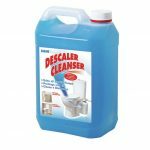 Our fast delivery and competitive prices are just some of the reasons we are a leading Saniflo retailer today. We would be delighted to take your order and our team is standing by ready to help or alternatively you can order direct from our website. Order today and experience the freedom the Sanitop Macerator Pump has to offer.